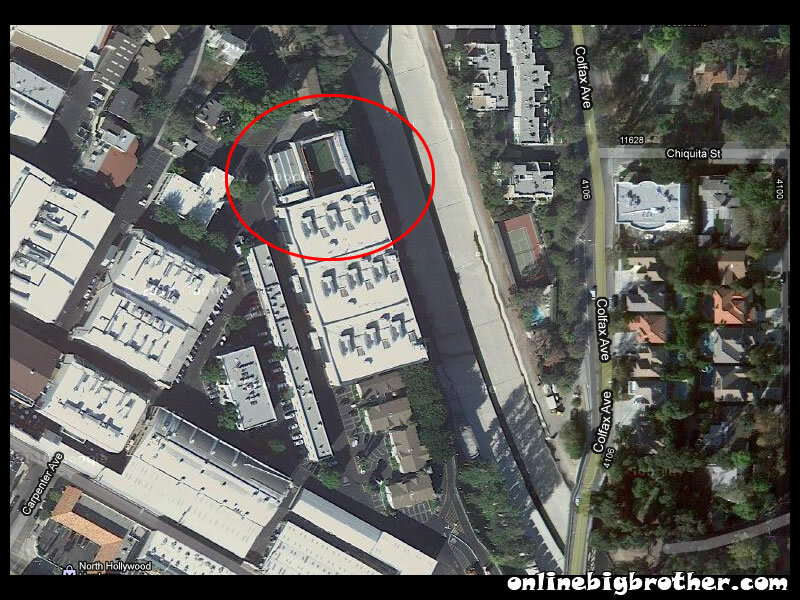 The US Big Brother House is a television set at Studio City California which is used for only one show. The exact building is CBS studio stage 18, the entire complex is 14000 sqft, 100’X140’X24′ high. The inside is laid out like a large house with bathrooms (YES the main bathroom stall has a camera in it), pool, kitchen, laundry, bedrooms, living room, dining room, hot tub and back yard (Fake Grass). Some years there is a sauna, have nots room, and Weight room. The part of the house you see Julie Chen in is nothing but a wall dressed up to look like a house. 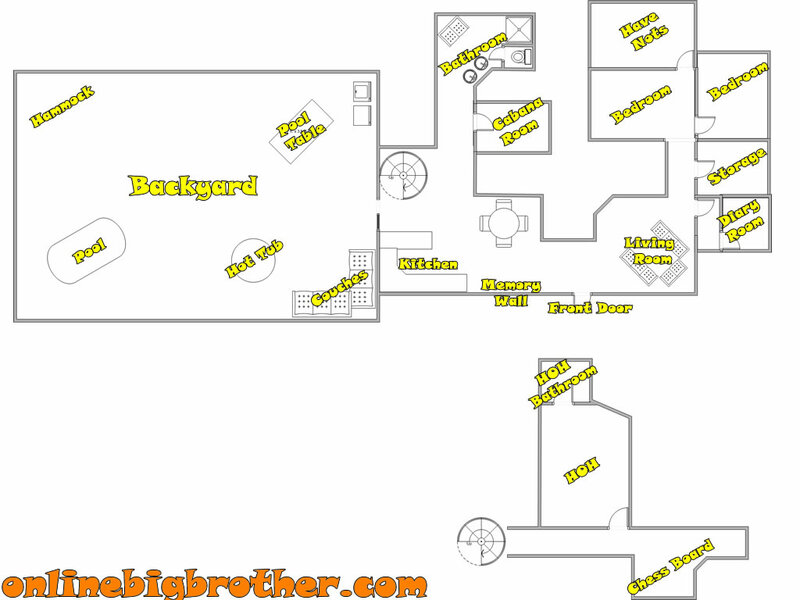 Rough Sketch up to the Big Brother House. Structurally they never change the layout of the house. 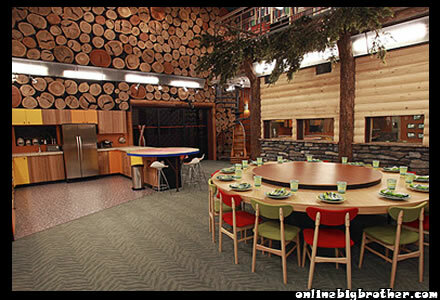 Every Season they stick to just change the interior design to coincide with that seasons theme. 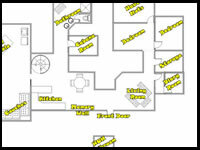 The floor plan isn’t 100% to scale but it’s close enough to give you an Idea where everything is. During our Live Feed Updates we’ll refer to the rooms in the house sometimes using the names the houseguests give other times making them up ourselves. 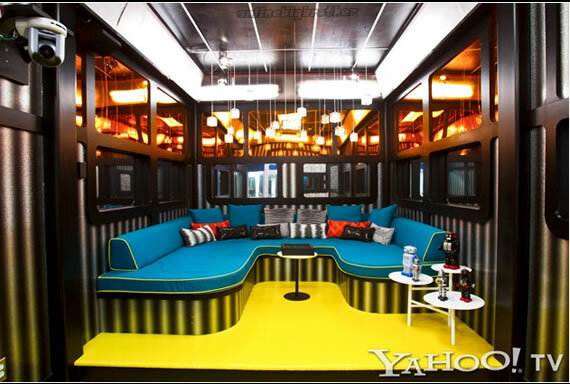 For example during the BB13 season there was the candy room, BB12 had the Cabana and Taj and BB11 had the pool room. 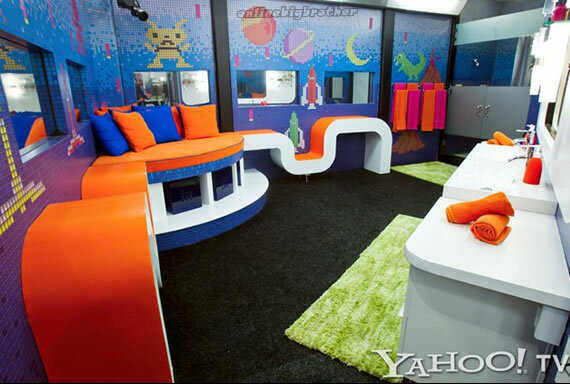 Rooms or places in the house whose names stay relatively static are HOH, Backyard, Kitchen, Bathroom, HOH Bathroom, Living Room, Pool table, Pool, Chessboard, Laundry machines and Dining room. One room which was left out of the diagram is the Pandora’s Box Room. 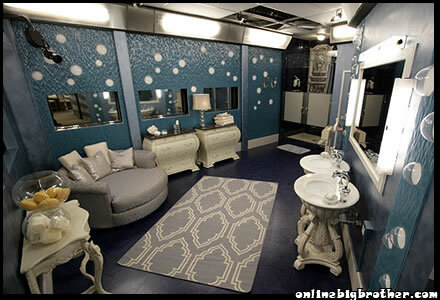 The room is attached to the HOH room on the right. Each year the House themes changes. The Theme of the house usually is tied into a Twist or has something to do with a late game competition. 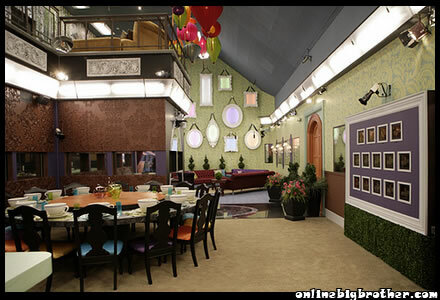 During BB13 the Lounge room had a fortune teller in it which would tell hilarious fortunes to the houseguests throughout the night. The players were then asked questions about these fortunes for a late game POV. 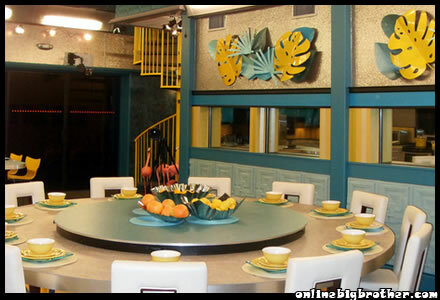 The first year that Studio 18 housed the Big Brother set. No real theme to this house. Theme was Alice in Wonderland theme, BB9 was a outdoors theme, BB11 was recycling and BB12 was a beach theme. You forgot “Pandora’s Box” on the sketch. The beddroom set-up looks weird. Did the lirary room get modified to the have Nots room? 1-Chrome room, 2-Katy Perry/ice cream room, 3-Library room, 4(?) Have nots room? You have it wrong. BB2 wasn’t in the studio where it is now. Seasons 1- 5 were filmed in a separate building compound in a parking lot area to the north of studio 18. It has since been demolished. They moved to the sound stage where they are now in 2005 for Season 6. Does the backyard have a retractable roof to let the sunshine in? Nope. Last year we had a shot of the wall that surround the building.